Stevens is pretty reliable..just keep checking the Round 2 and Auto World sites for updates...and those videos they put out. Thirty-three bloody Dollars for some stinking repops???? What is this? The Weimar Republic? I'm assuming from the price that this is the Piranha dragster by itself - not the drag team set that was talked about elsewhere. I've got two Piranhas from the last release - plus some aftermarket decals - so I don't see myself buying another one, but I'm guessing they'll go back to the original (and very cool) box art and put the right decals in this time. 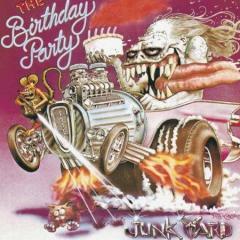 I just wish AMT or Pactra Candy Pagan Gold were still available. 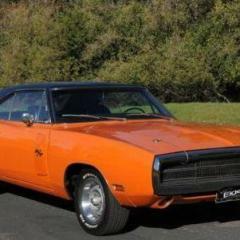 It's the perfect color for this car and I don't know of anything commonly available that's comparable. Maybe Turn Signal Amber lightened with white or a pale yellow? 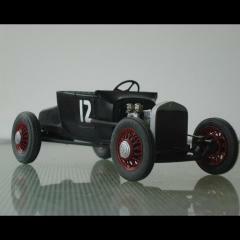 Finding the right color paint is part of the reason I've never gotten very far with my Piranha drag car. I'd love to hear from others out there on suggestions for matching the correct color. Since I don't use an airbrush, I need something in a spray can. Welcome to 2018. It's interesting I can afford to buy these kits now. Back when they were originally out, at the $2.00 it cost for a kit, they seemed harder to come by for me. I'm just happy to be able to buy these kits now. Now that I have money. I doubt I would have had the money to buy any kits back in the days of the Weimar Republic. Plus I don't think there were many kits I was interested in picking up during that time. Not a lot of plastic kits back then. And I'm not good at whittling wood. "Che Riviera" was the last separate tail light issue in 1969. AMT filled in a lot of tail lights in the 70s, including the 65 Galaxie. Thanks Tim. I'll give it a try. 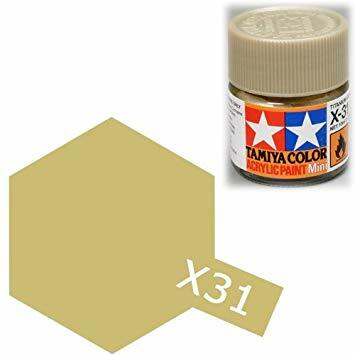 For people who'd rather airbrush an acrylic, Tamiya X31 Titanium Gold (81531) looks like a close match for that color. Titanium Gold is available as a spray lacquer now too. Ts-87. The above doesn't look quite yellow enough to me? Just found this photo on the web. You do have to take colour photos with a grain of salt. There's always going to be some variation depending on who developed them, and whoever prepared them for printing, and of course who scanned them and prepared them for the internet. The best you can hope tp achieve is "close enough"
For those who haven't gotten one, I guess the Riviera is a good choice, but it seems to have frequently been reissued, sometimes with way less content. But, I personally find it hard to get another of some of these when I have unbuilts sitting in the stash. My brother in law went to the Garlits museum when the Pihrana was being "restored". He told me that they aren't too careful about historical accuracy. Notice that there is no bronze fogged along th bottom of the pearl yellow, as Gene Winfield did in the original paint job. 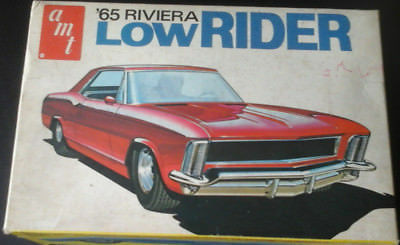 The only '65 Riviera kit with "way less content" was the Barris Cruisin' USA issue, which was one of those Lesney deals where they blocked off all of the parts not used in the version shown on the box. Ertl put everything back, except for a pair of chrome headers. I'd bet Round 2 puts those back. The annual issue had a clear display base too, but as I remember the car didn't really fit it very well. 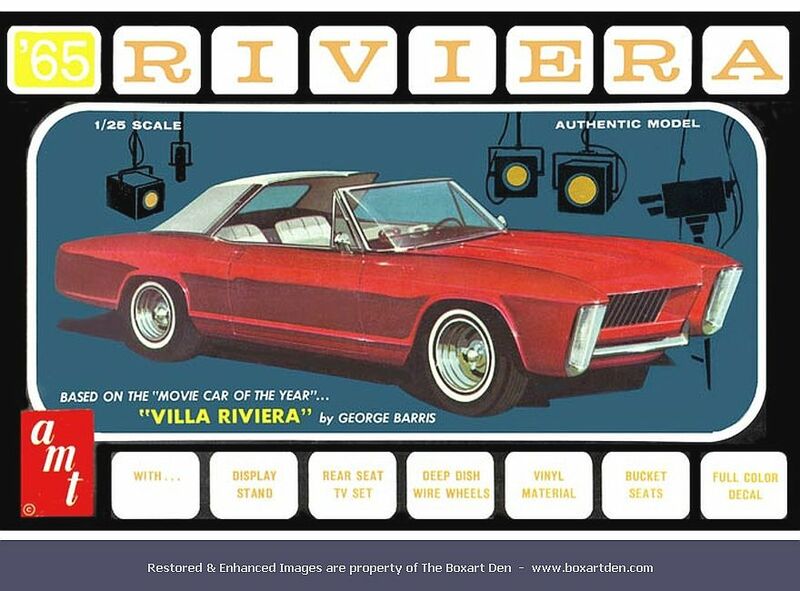 The only '65 Riviera kit with "way less content" was the Barris Cruisin' USA issue, which was one of those Lesney deals where they blocked off all of the parts not used in the version shown on the box. The Cruisin USA version was the first version of the '65 I built, built it and the custom only Cruising' USA '65 Grand Prix when I was 10. For some reason, I painted the Riv flat olive drab. FYI - Revell, former known as Revell of Germany, has reissued a 2010 Mustang kit. MSRP is $42.98.....so AMT list in the $30 range is not so high. This info from a wholesaler in Germany site. How many will they sell at $43 when local big box store has last 2010 Mustang issue at $14.88??? But is that a "Revell" release, or a Revell of Germany release that was planned long before the buyout? Revell of Germany kits imported here were typically a few bucks more than the Revell USA equivalent. A local HS did get the German issues of kits readily available here, and had no trouble selling them. Apparently some buyers wanted the different packaging, and as I understand it some of the kits of foreign subjects got better decals in the German version. You are right, this is just a simple reboxing in the Revell Of Germany boxing. You are correct, the decal sheets are sometimes better , more so you get more number plates ( EU plates) and various other decals that are not on the US kit sheet.